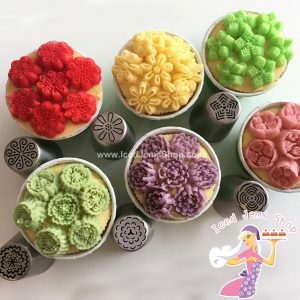 Earn up to 24 Iced Jems Loyalty Points. 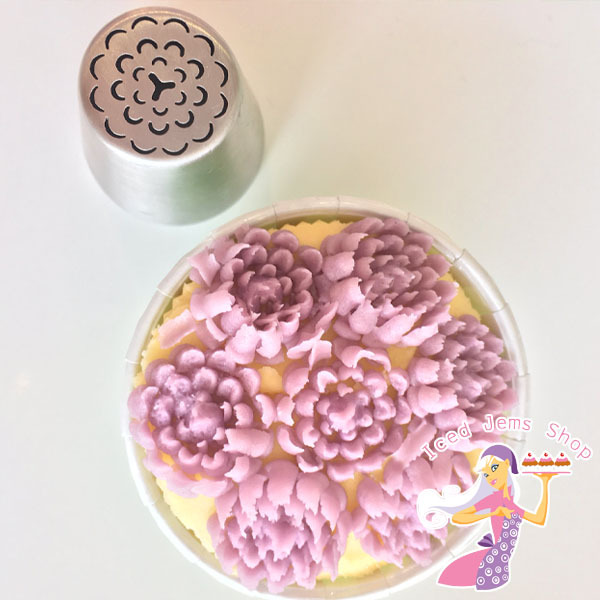 These incredible detailed piping nozzles allow you to pipe a range of flowers and roses quickly and easily like never before! Extra large in size, simply place into a disposable piping bag, fill with buttercream frosting and squeeze for incredible buttercream flowers. When piping onto a cupcake, simply spread a thin layer of buttercream over the top of your cupcake, then pipe the flowers on top. 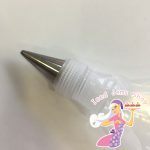 This will help the buttercream flowers to stick down and not come away with crumbs. 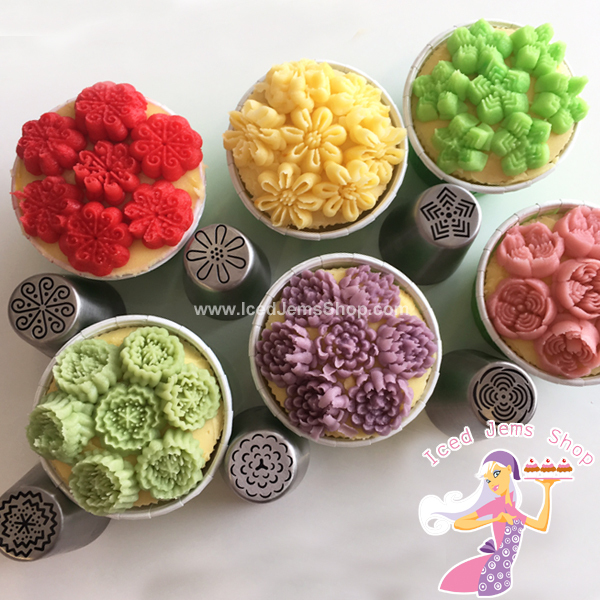 Temperature is extremely important when it comes to buttercream and piping. If your icing is too thick, put it in the microwave on a defrost setting for 10 seconds at a time until it becomes soft and easy to pipe. Don’t be tempted to add milk or water, a sloppy buttercream means your flowers won’t hold their shape once piped. 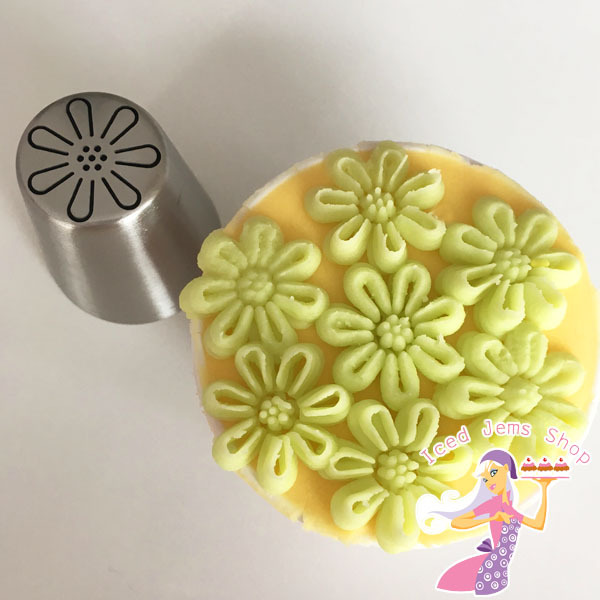 Make sure you have a layer of buttercream on your cake or cupcake to pipe the flowers onto. This will give them something to stick to. 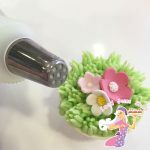 When you are ready to pipe, hold your piping bag straight down, and squeeze gently whilst your piping tip is nearly touching the cake surface, this will ensure the base of your flower sticks to the cake. 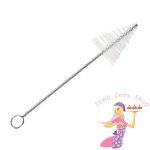 Now continue to squeeze whilst lifting the piping bag upwards for about 2 seconds, then release the pressure and pull the bag away.